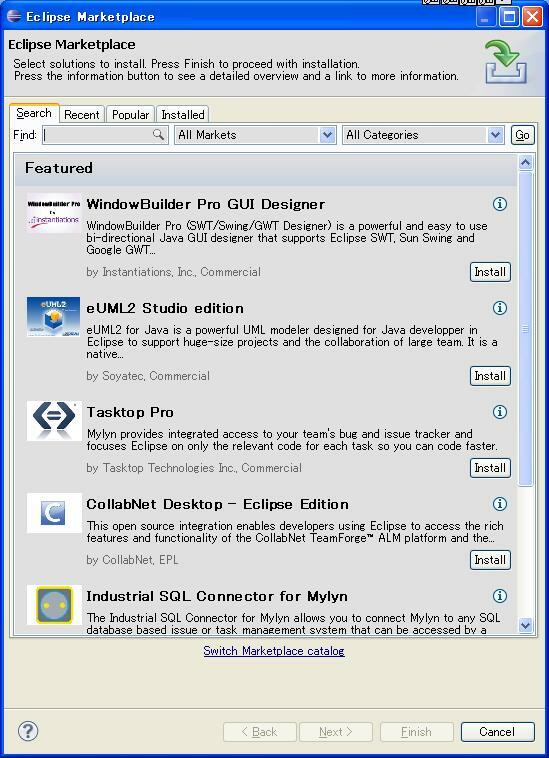 Eclipse Helios is out, it's time to check some of the new features. Helios comes with a new system to manage plugins even more easily than before : the Eclipse Marketplace. Gathering softwares, third-party tools, plugins, etc... and making them easily accessible is becoming a trend these recent years. Android Market, iPhone App Store, you name it. I needed to use SubVersion on my freshly installed Helios. 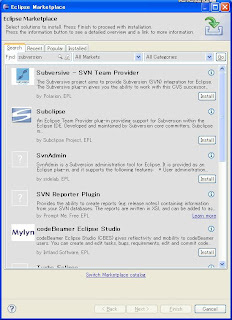 Let's see what the Eclipse Marketplace looks like and how easy it is to install plugins. 1. 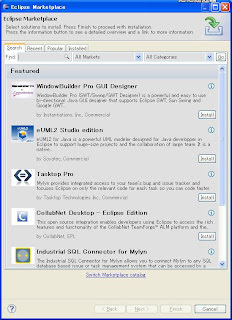 Access the Eclipse Marketplace via the Help menu. 2. Search for the plugin by entering some relevant keywords. 3. Click the Install button of the plugin (I chose Subversive). 4. Follow the instructions to install the plugin, and restart Eclipse. 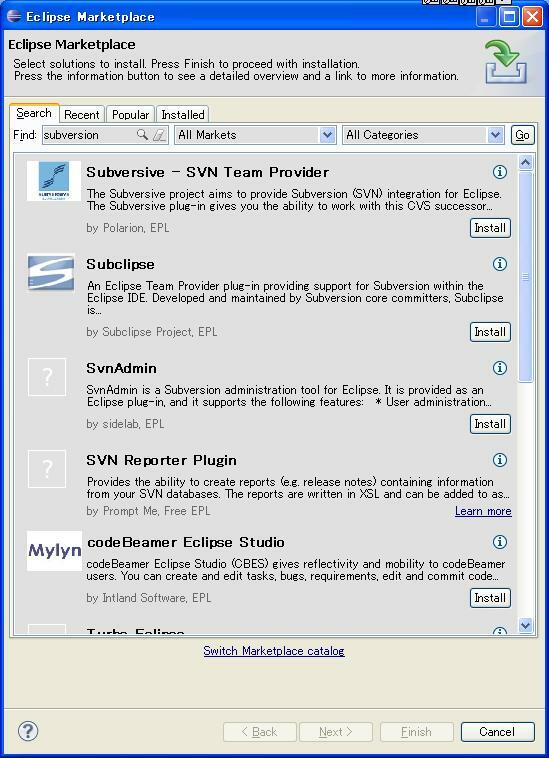 The Subversive plugin is now listed in the Installed tab of the Eclipse Marketplace.